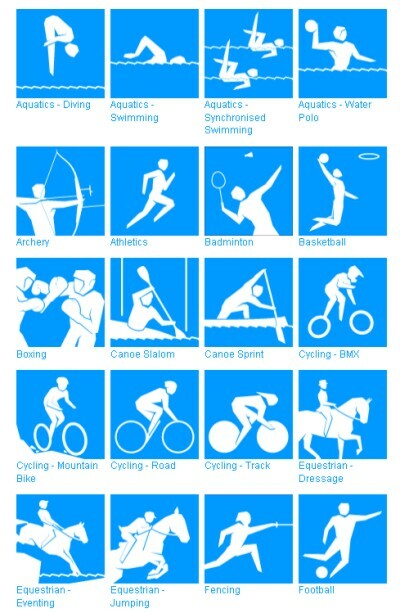 The London Organising Committee of the 2012 Olympic and Paralympic Games have unveiled the pictograms (visual representations) for each Olympic sport which will be used for the 2012 Olympics. The 38 pictograms (representing all the sports and disciplines at the Games) were used on signage, tickets and field of play, and helped spectators find their way around. 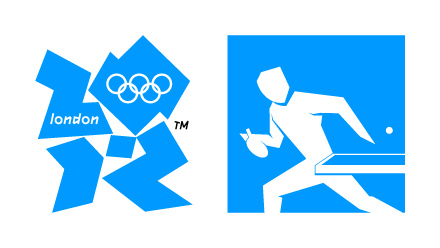 Pictograms were first used at the Olympic Games in 1948 (at the only previous London Summer Olympics), and have become a regular feature of the Olympic Games since 1964 in Tokyo. 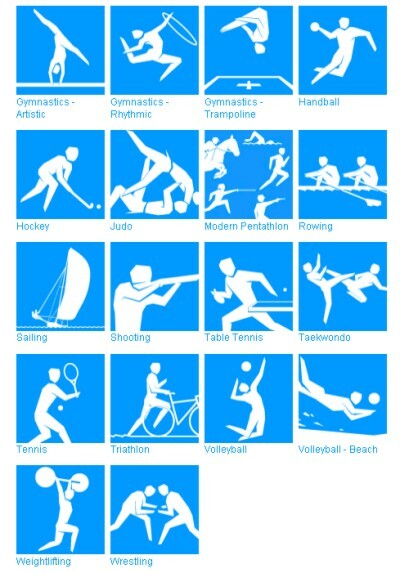 Developed in consultation with each of the International Sporting Federations, the pictograms for the 2012 Olympic Games were designed to be vibrant and accurate depictions of each sporting discipline. sign posts and wayfinding materials. 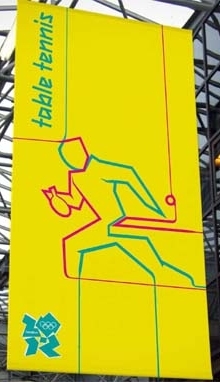 The pictograms for London 2012 were designed with the intention of capturing the spirit of the Olympic Games and provide graphics that were more than just signage. One of the main aims was to convey the speed and power of the athletes, together with the excitement that'll be generated by watching the world's stars in action. 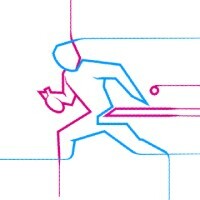 All the Olympic Games pictograms originated from sporting poses. 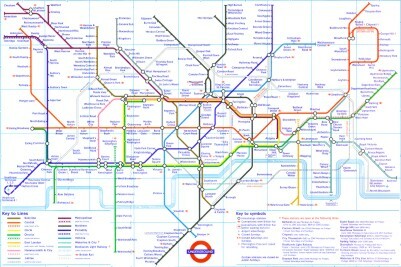 ...with the dynamic version being inspired by the world famous design used for the London Underground map (below). This map (above) was the brainchild of Harry Beck, an electrical draughtsman who, in 1933, used his knowledge of circuit diagrams to produce this world famous map. These pictograms were used to help people navigate London during the 2012 Olympic Games and they've become an enduring image of London 2012. "These are bold and dynamic images, which capture the energy and colour of the Games. Each sport is illustrated with graphic simplicity and the way it incorporates the iconic London Underground visual identity is genius. The designs will add to the pleasure of everyone attending, as well as helping them navigate the city whilst the Games are on." 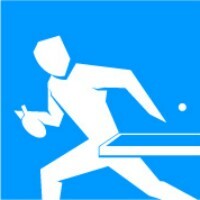 "In 2012 Olympic sports and athletes will have a unique opportunity to showcase themselves to the UK and the world and the pictograms will help do that. They look fantastic and I am confident that they will become a key visual icon of the London 2012 Olympic Games." "The pictograms of an Olympic Games are a unique link between the host city and the sports involved. This is particularly true of the dynamic version, which draws its inspiration from the London underground map, forever linking these Games to this great city. The Olympic summer sports are delighted by these designs and I hope that they will not just help people to find their way to the events but will also encourage young people to try out different Olympic sports as we head towards 2012."